Longtime Davis-Standard customer and extrusion film leader Sigma Plastics Group announced the purchase of three Davis-Standard film lines during the recent NPE, May 7-11. 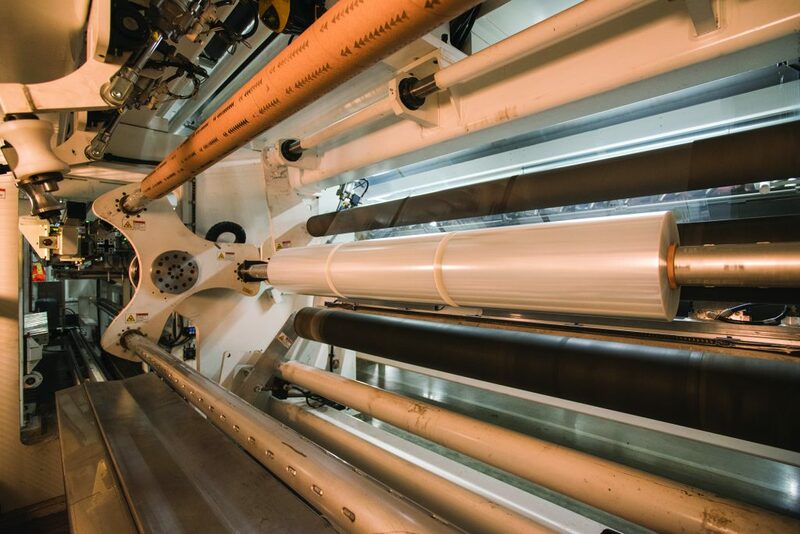 The Davis-Standard lines will consist of one 2.5-meter cast film hygiene line and two five-layer agricultural blown film stretch lines. The cast hygiene line is the second of its kind purchased by Sigma in the last three years. It will be engineered for A/B/A structures with in-line printing capabilities. The five-layer stretch lines will include Davis-Standard Optiflow™ LP dies and vertical oscillating haul-off technology. Installation is anticipated for 2018. “Davis-Standard has been exemplary at supporting our business demands and growth,” said Alfred Teo, Chairman of Sigma Plastics Group. “This purchase confirms our confidence in Davis-Standard’s film technology as we continue to augment capabilities for our extensive line of custom films, stretch films and institutional products. We look forward to another successful installation.” Sigma Plastics, the largest privately-held film manufacturer in North America, has been a Davis-Standard customer for 40 years. The company operates more than 350 Davis-Standard lines at 42 manufacturing facilities in the United States and Canada. With an annual throughput of over two billion pounds of resin, Sigma Plastics produces flexible packaging products for the industrial, food, medical, retail and converter film markets. For more information about Sigma Plastics, visit www.sigmaplasticsgroup.com. For more information about Davis-Standard’s extrusion film capabilities, visit www.davis-standard.com/blownfilm or www.davis-standard.com/castfilm. It’s no secret that Davis-Standard has the industry’s most extensive laboratory capabilities for both extrusion and converting applications. With R&D labs in Pawcatuck, Conn., Fulton, N.Y., and at the company’s subsidiary in Suzhou, China, customers have multiple options for making parts for proof-of-concept, experimenting with new resins, conducting materials development, and testing equipment prior to making large capital investments. According to John Christiano, Davis-Standard’s Vice President of Technology, the range of lab capabilities has been instrumental in supporting customers pre and post-purchase, while also allowing for continuous internal technology development for Davis-Standard. “Davis-Standard has always prioritized technology development,” said Christiano. “I think it’s one of our greatest attributes, making us unique as a company. Over the past year, we’ve had more than 150 customer lab trials among our three lab locations. 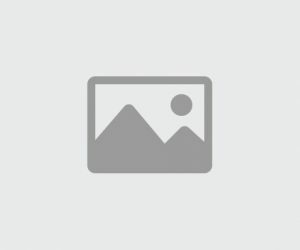 These trials have included screw design development for smooth bore, groove feed and high-speed extruders, as well as product development trials for medical tubing, cast film, sheet and liquid coating applications. We use a wide range of resins, including those for multi-layer coextrusion applications. It’s always rewarding to see how this technology improves customer processes and profitability.” Christiano noted that each lab gives customers multiple options in terms of equipment, control systems and feedscrew technology. The labs are also staffed by extrusion engineers with hundreds of years of combined experience and industry knowledge. Following is a summary of lab capabilities at each location. Pawcatuck Lab At Davis-Standard’s Technical Center in Pawcatuck, the company offers labs for single screw extrusion, coextrusion sheet applications and medical tubing. 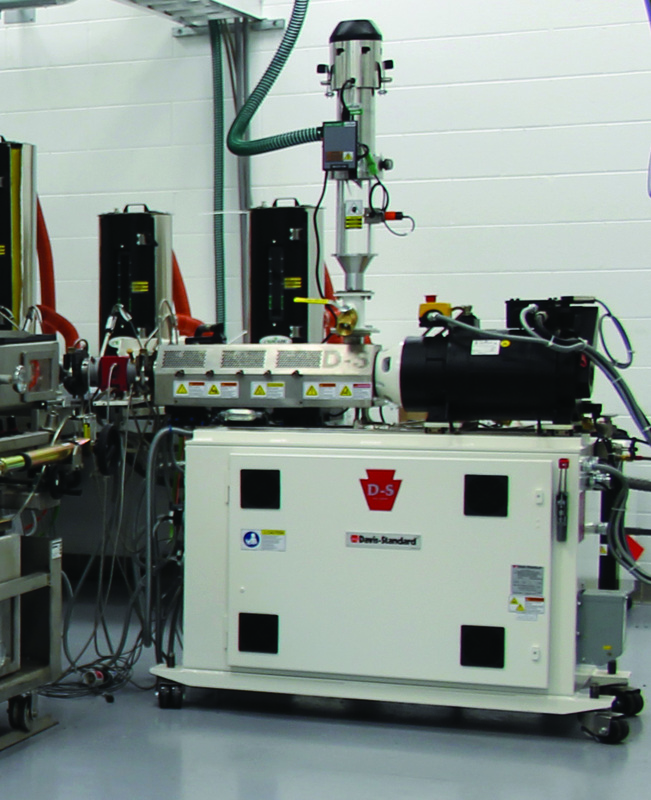 The single screw extruder lab has both smooth bore and groove feed technology as well as a high-speed extruder, vented and non-vented options, and extruder L/D configurations ranging from 24:1 to 40:1 depending on application. 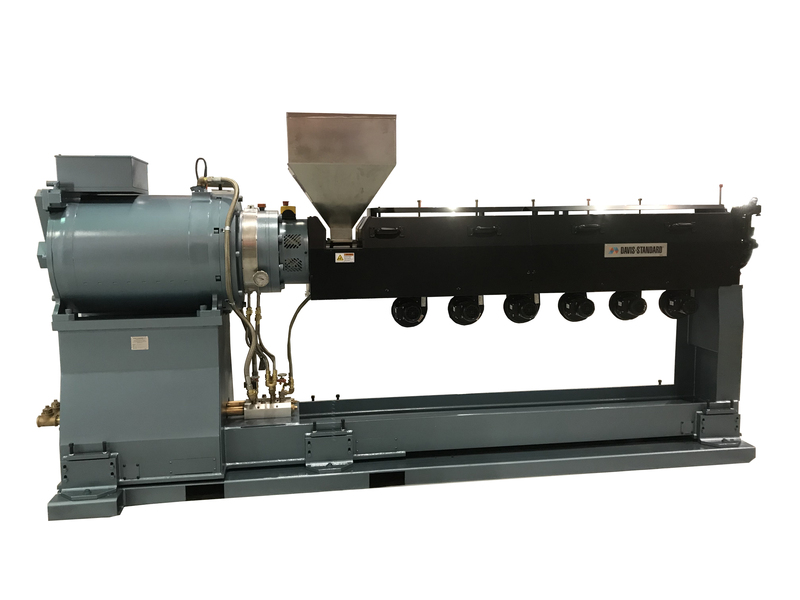 The coextrusion sheet line is set up for running sheet in various thicknesses with advantages such as hands-free roll gap adjustment, gravimetric blending, thin-gauge capabilities, melt pumps and screen changers, and multi-component blenders and cantilevered winding. The focus of the medical tubing development lab is product and equipment development for tubing used in medical devices ranging from single-lumen to multi-lumen applications. 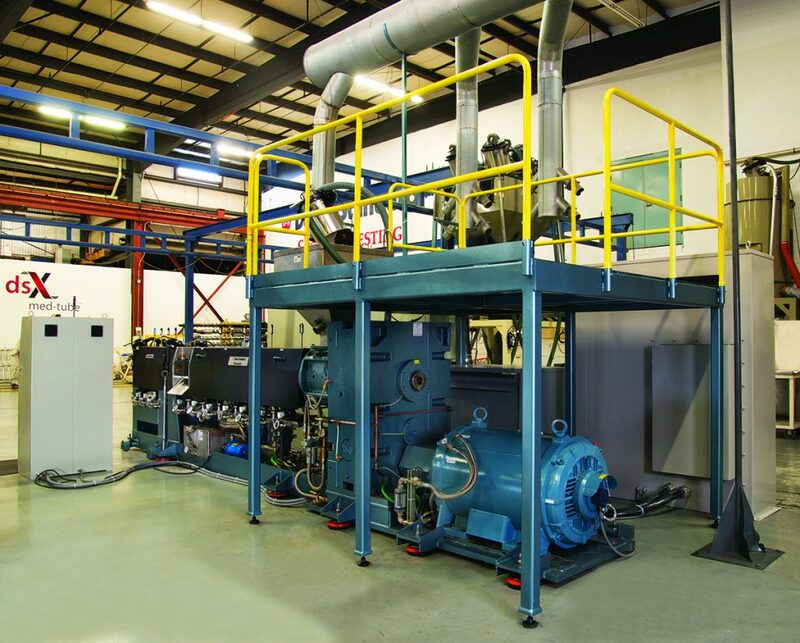 The facility is in a climate-controlled environment for running multiple resins including high-temperature PEEK and corrosive materials like FEP. This lab also incorporates Davis-Standard’s patented Alternate Polymer® technology. Fulton Lab The Fulton lab is committed to converting processes, offering capabilities for unwind and winding, extrusion coating, lamination and cast film applications, as well as liquid coating and pelletizing. The winding and unwinding lab enables customers to evaluate different methods of unwinding, rewinding and automatic transfer as well as technology for cost-effective roll changes and dual direction winding. For coating, lamination and cast film processes, the line is set up for cast films up to 54 inches (1,372mm) wide and for extrusion coating in widths up to 50 inches (1,270mm). This includes resin blending, drying capabilities, coextrusion feedblocks and a selection of dies, winding and unwinding options. The liquid coating production and pilot line features advantages such as a multifunctional cooling section with laminating nip, auxiliary single position unwind, turret winder roll changer, SurfaStart winder, and configurations for reverse gravure, direct gravure, slot die, contact die, smooth, hot melt and more. The pelletizing lab is comprised of an extrusion system for underwater/water or air ring pelletizing. Suzhou Lab To support regional customer trials and application development, the Suzhou laboratory offers a high-speed FPVC extrusion system and multipurpose microbore tubing line. The FPVC line is capable of line speeds from 5 to 100mpm for processing 2mm to 8mm OD tubing with accuracy of +/- 50u. Line components include a 63mm extruder, 8m water cooling, precision internal air supply, OD gauge and combination puller-cutter. The multipurpose micro bore tubing line is designed for single or dual layer tubing, and single lumen tubing with or without a stripe. 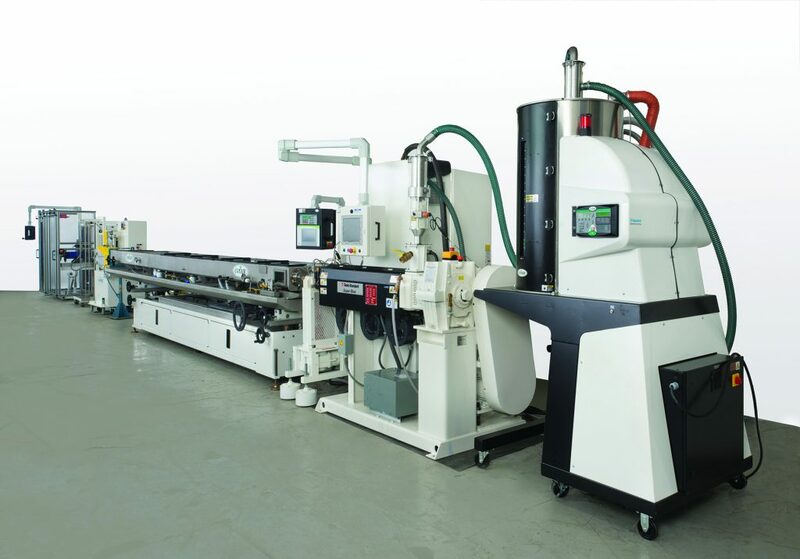 It is equipped with two extruders, OD/ID wall thickness measuring and controlling system, closed loop control via vacuum sizing tank and puller, and a high-level central control system. Davis-Standard is planning to add a dsX flex-pack™ 300S, a single station extrusion and lamination line, to this lab for customer demonstrations by the fourth quarter of 2018. This line is specifically engineered for the Asian flexible packaging market in terms of machine footprint, speeds and output, and the ability to make shorter runs. To schedule a laboratory trial, customers can contact the following people at each location: Pawcatuck: Bill Lee, 860-599-6722, blee@davis-standard.com Fulton: Jeff Lawler, 315-593-0253, jlawler@davis-standard.com Suzhou: Jinsong Lin, +86 512-62695139, jlin@davis-standard.com For more information about these laboratories and specific components in each, visit www.davis-standard.com/lab-trial-opportunities. 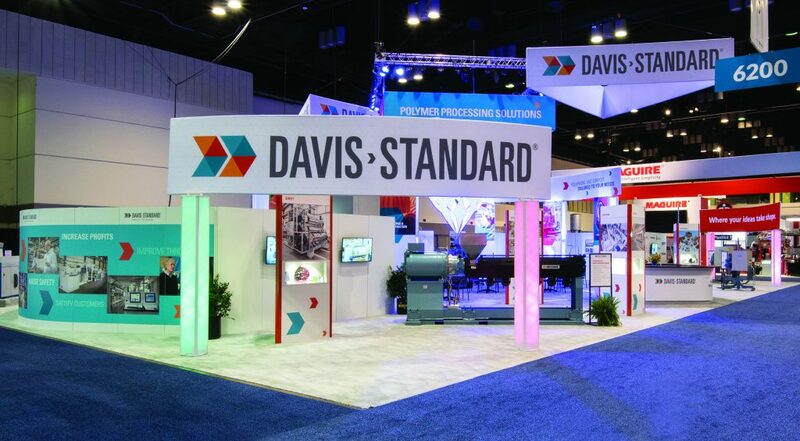 Davis-Standard, a leading provider of polymer processing equipment and customer support solutions, has revealed the next evolution of its global brand. The new identity and messaging strategy is designed to better express the company’s customer-centric and forward-looking business approach. It is also expected to provide customers and prospects with a more unified and compelling visual experience when interacting with Davis-Standard marketing and web resources. “Davis-Standard is recognized all over the world for equipment reliability and customer support, but we felt the previous identity wasn’t fully reflective of our standing in the industry,” stated Jim Murphy, President and CEO. “We are leading the way in providing the solutions that help our customers be more competitive in today’s marketplace. We now have a brand that better speaks to that leadership. We have been on an upward trajectory and now is the time for our brand to embody what we have become, and still intend to become.” The brand refresh includes a new logo – the first logo update in over 50 years – and a brighter image. It also includes an updated brand story, soon to be followed by a new website and customer experience. Davis-Standard, LLC, Hall 8.1, Booth D19, will promote the company’s recent expansion and equipment innovation during CHINAPLAS 2018 in Shanghai. Among Davis-Standard’s latest developments are the recent acquisition of Maillefer, the company’s strengths in Suzhou, expanded dsX flex-pack™ technology for extrusion coating, and new stretch film capabilities. Davis-Standard will also exhibit a MEDD extruder (Medical Extruder Direct Drive). Asia’s medical and packaging segments continue to be strong for Davis-Standard, and this will be reflected at the show. Davis-Standard’s acquisition of Maillefer in 2017 expanded the company’s wire and cable, pipe and tube equipment offering, and added facilities in Finland and Switzerland to better serve customers, including those in China. Wire and cable capabilities include automotive, building wire, coaxial cable, LAN, fiber optic MV, HV and EHV among others. For pipe and tube applications, this includes automotive, heating and plumbing, irrigation, medical, micro-duct, off-shore and custom lines. The Maillefer addition complements Davis-Standard’s presence in China with Davis-Standard (Suzhou) Plastics Packaging Machinery, Co., Ltd. The Suzhou facility is Davis-Standard’s manufacturing base in China, offering equipment for FPVC medical tubing and co-extrusion applications as well as assembly of electrical control panels, extruders and gearcases. In addition to manufacturing, Suzhou is home to an R&D laboratory to support Asia’s growing medical market. The lab is equipped with technology such as the MEDD extruder (being shown) to test a range of rigid and flexible products as well as FPVC tubing for IV & fluid delivery. Applications include microbore tubing, multi-lumen and catheter tubing, endotracheal and tracheotomy tubing, radio opaque tubing, bubble tubing, taper tubing, pipette tubing and multi-layer tubing, among others. The MEDD is specifically engineered for these tight tolerance applications due to its compact design, energy efficiency and materials versatility. 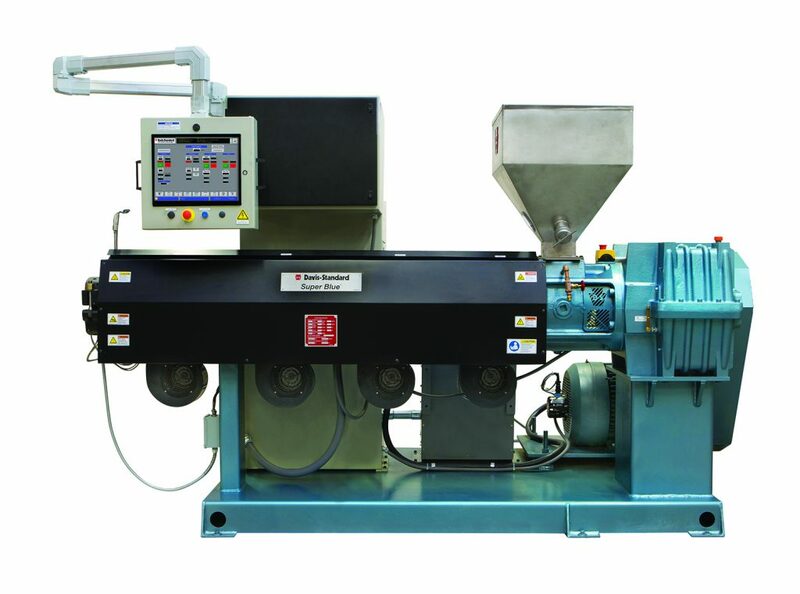 Advantages of this extruder model include linear movement, a replacement feedsection liner, interchangeable barrel assemblies and Windows®-based control system. In terms of dsX™ technology, Davis-Standard will highlight its latest dsX flex-pack model, the 300S. This single station extrusion and laminationg line is designed specifically for the Asian flexible packaging market. It is a collaboration between Davis-Standard’s teams in the U.S. Germany and China, addressing the pricing, machine footprint, speeds and output, and shorter runs demanded by converters. Davis-Standard is also engineering a tandem configuration of this machine called the dsX flex-pack™ 300T. Davis-Standard plans to have its first dsX flex-pack 300S available for demonstration in Suzhou by the end of the third quarter this year. For stretch film applications, Davis-Standard offers a new stretch film line equipped with a DS S3 winder. Quality control, versatility and efficiency are hallmarks of this technology. The line offers a compact machine arrangement, ease of servicing, excellent profile control, consistent roll quality and an intuitive control package. It is engineered for producing thin films from 31-to 51-gauge (7.8µ to 13µ) at high speeds. The side-by-side DS S3 overlapping winder is essential to this capability, enabling maximum slit widths for hand-wrap, machine-wrap and jumbo rolls. This winder also makes it possible for converters to support multiple market segments on one winder. All features are advantageous for high-grade film operations. Davis-Standard’s representatives look forward to discussing this and additional developments in Asia with customers during the show. For more information visit www.davis-standard.com, or www.davis-standard.com.cn. Aftermarket capabilities – Davis-Standard will promote global field services along with its extensive offering of feedscrews, spare parts, and rebuilds for controls, gearboxes and extruders. This includes technology drive upgrades for processors looking to boost their existing line with new screw design technology, controls technology and consulting services. A running TPE tubing line – This high-speed line will feature Industrial Internet of Things (IIoT) or Industry 4.0 capability to provide real-time data to help operators and managers optimize their line operation and avoid unplanned downtime. Visitors will be able to witness this technology live at the show. HPE extruder rebuilds – Two HPE-A extruders will be on display to show how replacing the extruder barrel, feedsection, feedscrew and/or breaker plate can improve extruder efficiency. Next generation groove feed extruder – This design showcases Helibar® barrel and feedscrew technology for high outputs and excellent melt quality. Control system upgrades – Davis-Standard will exhibit upgrades to its EPIC III® control system, as well as its next generation DS-eTPC II touch-screen controller. New spiral feedscrew design - Engineered for groove feed applications, this design offers advantages such as higher regrind levels, improved pressure stability, a wider range of polymers, lower pressure and better energy efficiency. Blown film die capabilities – Visitors will be able to learn more about Davis-Standard’s recently completed in-house machining center, which is home to innovative designs that deliver high outputs and reliable gauge control. 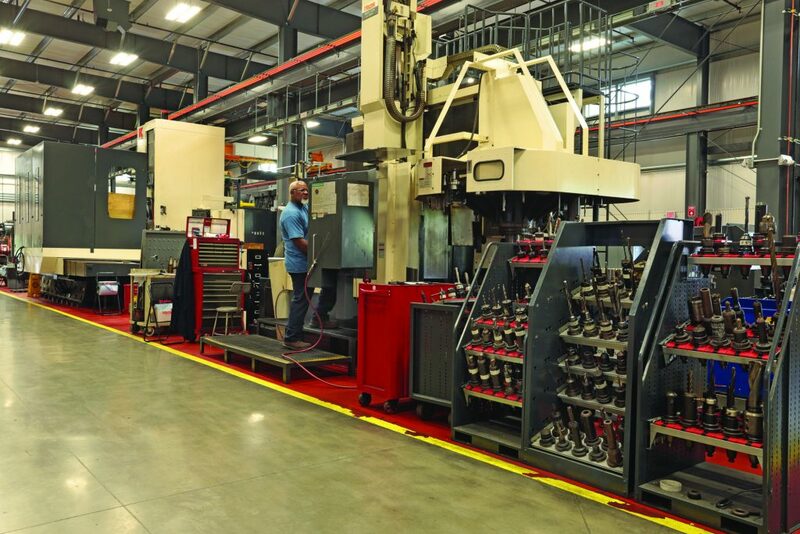 Maillefer technology – Production advantages offered by Maillefer, the latest addition to Davis-Standard’s equipment line, will be exhibited with a DUFD irrigation line driller and ECH extrusion head. In addition, Davis-Standard will have computerized demonstrations, product samples representing all product lines, and product line videos. For more information prior to the show, visit www.davis-standard.com. Davis-Standard will exhibit its next-generation direct drive groove feed extruder along with its popular Thermatic® and Super Blue® extruders during NPE. These extruders exemplify processing versatility and performance, and will be shown with new feedscrew and control technology. The 65mm direct drive groove feed extruder features a Davis-Standard Helibar® design with a grooved intake zone and helically grooved barrel, and new barrier-mixing feedscrew technology. This extruder and feedscrew combination offers increased processing flexibility due to higher regrind levels and improved pressure stability. It also enables processing of a wider range of polymers at lower internal pressure and with improved energy efficiency. The Helibar design is advantageous in terms of higher throughput, improved melt pressure build-up, lower melt temperatures, improved melt homogeneity, reduced barrel wear and a shorter residence time. Applications well-suited to this extruder include pipe, profile, sheet and blow molding processes. Demand for the Thermatic and Super Blue models continues to be high as both models are advantageous in terms of reliablity, efficiency and proven performance. The 2 ½-inch (65mm) Thermatic being shown is an upgraded model with a modern platform and results-driven enhancements in terms of gearbox design, barrel cooling, vent diverter geometry and more. It will be part of a running TPE tubing line demonstrating the smart extrusion features of Industry 4.0 or IIoT (Industrial Internet of Things), essential for preventative and predictive maintenance. This includes monitoring of vibration, oil composition, motor parameters, heater status, screw wear algorithm and energy consumption. The Thermatic is available in L/D ratios of 24, 30 and 34:1 and can be equipped with any Davis-Standard DSB® feedscrew, as well as the TS DSBM, TS Metering, TS DS-Blend, and a variety of metering screws and specialized designs. The Super Blue is advantageous due to its pricing, reliability and fast delivery. Customers appreciate the interchangeability of Davis-Standard feedscrews, rugged components such as the low-noise, double-reduction gearbox, minimal maintenance and consistent production rates. It is available in sizes ranging from 2 inches (50mm) to 4 ½ inches (114mm), each with the option of a 24:1 L/D ratio or 30:1 L/D ratio. At NPE, the Super Blue will be shown with the DS-eTPC II, the second generation of Davis-Standard’s widely used touch-screen control. This controller is well-suited for pipe, profile and tubing, elastomer, wire and cable, sheet and reclaim applications. Notable enhancements include a larger 15-inch (380mm) viewing screen with multi-touch capabilities for zoom-in and out, extruder control for up to three extruders, and real-time and historical data trending. 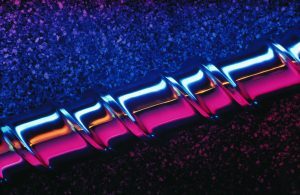 For more information about Davis-Standard’s exruder capabilities prior to NPE, visit www.davis-standard.com/extruders. During NPE2018, Davis-Standard will promote its full menu of global aftermarket and technical services, aimed at providing convenience and improved performance for customers. This includes options for increasing productivity, reducing waste and strengthening product quality. Equipment upgrades, replacement parts, global field services, custom engineering, research and technical services, and a 24/7 customer service hotline have enabled Davis-Standard to support customer needs in a cost-effective and timely manner. At NPE, Davis-Standard will show examples of readily stocked spare parts, extruder rebuilds and support for heritage brands around the world. This includes technology upgrades to improve existing line performance with new feedscrew designs, controls and consulting services. Feedscrew Services – Davis-Standard’s replacement or rebuilt feedscrews range from 3/4-inch (20mm) to 12 inches (305mm) in diameter. For feedscrew rebuilds, the screw is engineered back to its original performance characteristics and surface treatments. At NPE, Davis-Standard will be introducing a new spiral feedscrew design for groove feed applications. Spare Parts – A large selection of mechanical and spare parts inventories enable Davis-Standard to ship in-stock parts within one business day. This includes feedscrews, barrels, thermocouples, heaters, motors and more. This is part of Davis-Standard’s 24/7 commitment to customer service where customers can access a service technician to handle emergency parts inquiries and service needs. Extruder Rebuilds – Davis-Standard will exhibit rebuilt HPE-A 125 and HPE-A 150 extruders. Davis-Standard is able to transform aging equipment with improved efficiency and output with a fast turnaround. Extruder retrofit services include replacement of the extruder barrel, feedsection, screw and breaker plate, new controls, L/D conversions and more. Safety Audits and Safety Upgrades – Davis standard offers line safety audits and upgrades to bring equipment in line with current standards. This service includes an on-site inspection of your existing extrusion lines and a detailed report. After review, a quotation is provided for parts and/or safety equipment requiring attention. Davis-Standard can provide installation and testing for all safety upgrades. Process Control Upgrades – An upgraded EPIC III® system will be shown along with the next generation DS-eTPC II. Davis-Standard will also continue supporting the Extrol system on Gloucester Machinery Company equipment with spare parts and upgrade options. Davis-Standard provides complete control systems and upgrades for non-extrusion lines such as liquid coating applications and non-woven applications. Rebuilds and upgrades of process controls, bag machines, winders, gearcases, dies and heads, and other extrusion equipment is a viable option for processors who want the latest technology at a fraction of the cost of replacement. For more information on Davis-Standard’s aftermarket services prior to NPE, visit our Aftermarket website. A running TPE tubing line will be the star of the show at Davis-Standard’s NPE booth in Orlando. Live demonstrations of IIoT (Industrial Internet of Things), also known as Industry 4.0 technology, will show the benefits of preventative and predictive maintenance as part of an international trend toward the “smart factory.” Davis-Standard will provide real-time examples of the advantages of this technology including direct e-mail notifications to customer PC’s, tablets or smartphones during the show. The line will be processing TPE tubing for industrial applications and will feature Davis-Standard’s newest Thermatic® extruder design along with the DS eVUE II controller. “The digital transformation occurring in the plastics industry will accelerate over the next several years and significantly influence innovation in machine design and productivity on the production floor,” explained John Christiano, Davis-Standard’s Vice President of Extrusion Technology. “With Davis-Standard predictive maintenance technology, machine operators will be alerted to issues before they happen, preventing unnecessary downtime while also collecting valuable data. Being able to monitor extrusion line variables that include equipment, mechanical and electrical system conditions and energy efficiency will provide valuable tools to improve overall performance. Processors will also be able to improve equipment performance and bring products to market faster with a measurable cost benefit. It’s an exciting trend and we’re looking forward to sharing this with customers at NPE.” Examples of preventative maintenance monitoring include vibration, oil composition, motor parameters, heater status, screw wear algorithm and energy consumption. As part of this package, the line will feature Davis-Standard’s latest drive technology to provide notification of potential drive issues. Christiano also noted that this type of technology is ideal for the latest generation of the Thermatic extruder. 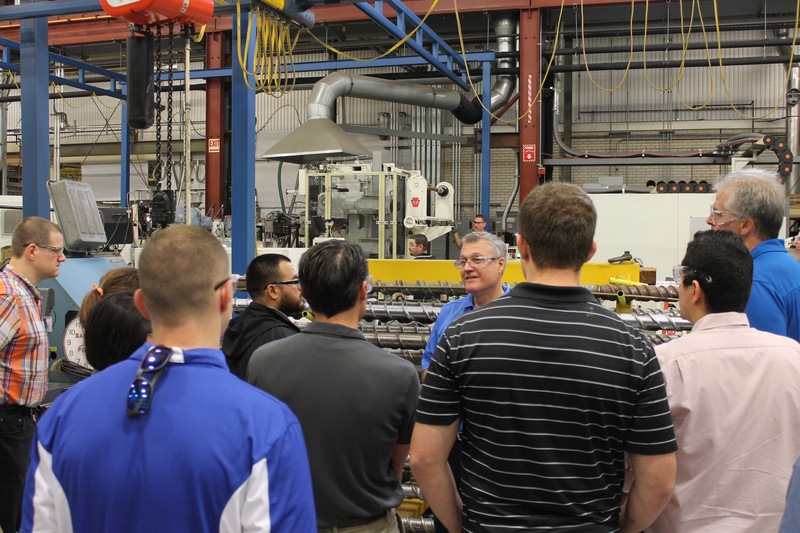 The extruder’s modern platform represents a collaborative effort among Davis-Standard’s mechanical, electrical, process and control engineering departments to create optimal processing for applications ranging from blown film to wire and cable. Christiano added, “The Thermatic is the ideal machine for this type of demonstration because it’s built for the most complex processes. It’s engineered with a high wear-resistant barrel and state-of-the-art feedscrew technology. When you take that and plug in the potential of IIoT, you’re looking at the future of extrusion efficiency.” For more information about Davis-Standard’s capabilities prior to NPE, visit www.davis-standard.com. Davis-Standard is pleased to announce that Robert W. Ackley will be inducted into the Plastics Hall of Fame on May 6, 2018 during NPE in Orlando, Florida. Ackley, a 46-year veteran of Davis-Standard, was instrumental to the company’s global expansion and success. He began his career in 1959 as a draftsman, moving through the company ranks to eventually serve as president until his retirement in 2005. He was involved with the industry’s most prestigious associations in senior management roles, including as chairman of PLASTICS (formerly known as SPI) in 2000-2001 and as a board member of the National Plastics Center and Museum. He was also an active member of the Society of Plastics Engineers (SPE), the International Wire Association and the Plastic Pioneers Association. 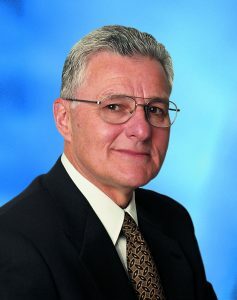 “Being nominated to the Plastics Hall of Fame by those I worked with for many years and then selected by leaders within the industry is a great honor,” said Ackley. “Plastics have done so much good for society. Witnessing the advancement of extrusion and converting technology and the progression of plastics into every facet of life has been incredible. When I first joined Davis-Standard, we were insulating wire and cable. By the time I left, we were in nearly every market. I am grateful to have had such a fulfilling career in such an innovative and life-changing industry.” Ackley’s success story is one defined by hard work, company loyalty and steadfast leadership. When he started at Davis-Standard, he was right out of high school and attended college at night. He earned his degree in mechanical engineering from Mitchell College in New London, Conn., and an Executive MBA from the University of New Haven in New Haven, Conn. 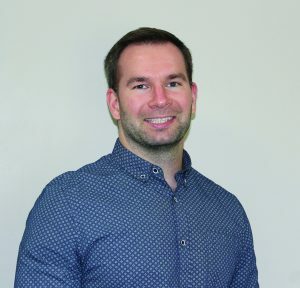 He had a thorough understanding of nearly every position working as a design engineer, group leader, technical engineering manager, field services manager, sales product manager and spare parts manager. He advanced to leadership positions in operations, engineering, research and development, and sales and marketing until he was named company president in 1983. A role he enthusiastically embraced for 22 years, making Ackley synonymous with the Davis-Standard brand. “Bob Ackley was a terrific mentor and instrumental in making Davis-Standard an industry leader,” said Jim Murphy, Davis-Standard President and CEO. “I am forever grateful to his team approach, the way he empowered employees, and his intuitive and smart business sense. He was exceptional at putting customers first and his door was always open. The impact he had on me personally, Davis-Standard’s customers and employees, and the industry in general is far-reaching and much appreciated. Bob is a legend in plastics, which is why it is fitting for him to be a hall of famer! We extend our congratulations to him and his family, and look forward to celebrating this honor in Orlando.” For more information about Davis-Standard, visit www.davis-standard.com. Davis-Standard, LLC will promote new technology and regional capabilities in Hall 8 at booth D71 during PLASTINDIA 2018 in Gujarat, India, February 7-12. 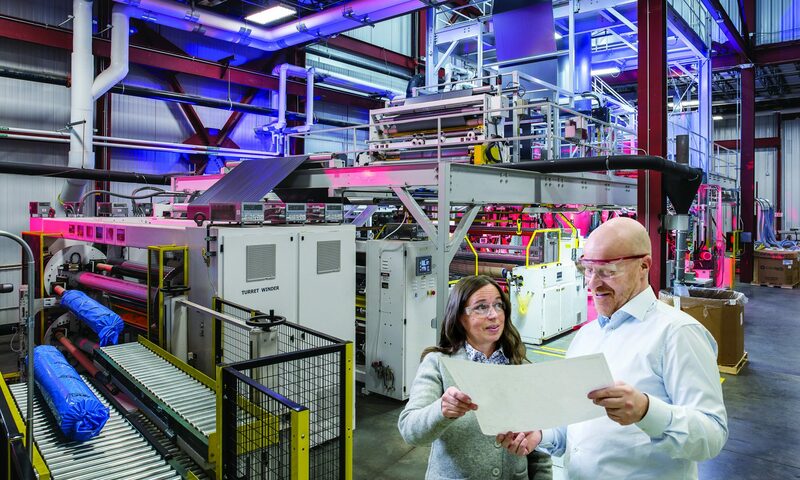 Among Davis-Standard’s latest developments are the recent acquisition of Maillefer, the company’s growing regional presence, expanded dsX flex-pack™ technology for extrusion coating, and new stretch film capabilities. Davis-Standard’s acquisition of Maillefer in 2017 expanded the company’s wire and cable, pipe and tube equipment offering, and added facilities in Finland and Switzerland to better serve customers, including those in India. Wire and cable capabilities include automotive, building wire, coaxial cable, LAN, fiber optic MV, HV and EHV among others. For pipe and tube applications, this includes automotive, heating and plumbing, irrigation, medical, micro-duct, off-shore and custom lines. The Maillefer addition complements Davis-Standard’s presence in China with Davis-Standard (Suzhou) Plastics Packaging Machinery, Co., Ltd. The Suzhou facility is Davis-Standard’s manufacturing base in China and houses an R&D laboratory for process development and trials. The laboratory is equipped to test a range of rigid and flexible products as well as FPVC tubing for IV & fluid delivery. Applications include Alternate Polymer®, microbore tubing, multi-lumen and catheter tubing, endotracheal and tracheotomy tubing, radio opaque tubing, bubble tube, taper tube, pipette tubing and multi-layer tubing, among others. Machinery being manufactured in Suzhou includes medical tubing FPVC and co-extrusion equipment as well as assembly of electrical control panels, extruders and gear cases. The latest dsX flex-pack model is the 300S, which is a single station line with benefits specifically engineered for the Asian flexible packaging market. Design of the dsX flex-pack™ 300S was a collaboration between Davis-Standard’s teams in the U.S., Germany and China to ensure that pricing, machine footprint, speeds and output, and the ability to make shorter runs would accommodate demands of converters. 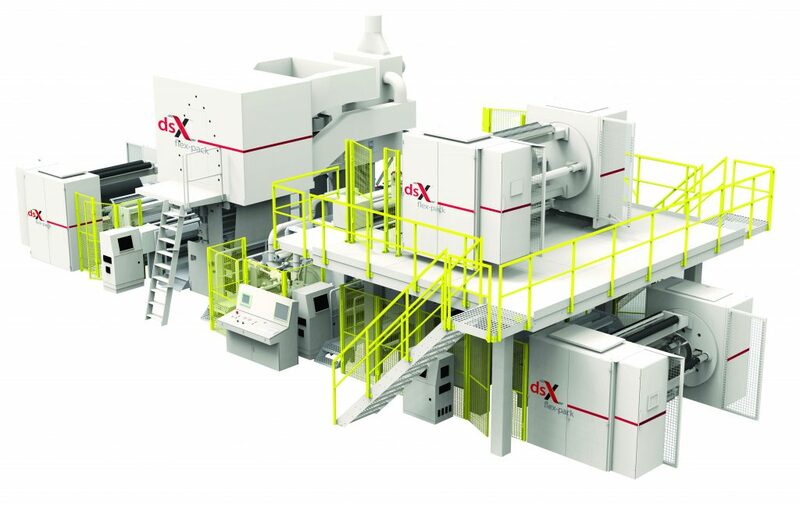 In addition, Davis-Standard will offer a tandem configuration of this machine called the dsX flex-pack™ 300T for the Indian flexible packaging market. Davis-Standard plans to have its first flex-pack 300S available for demonstration in Suzhou by the fall of 2018. “India is a market of significant potential for us, especially in flexible packaging,” said Sekaran Murugaiah, Davis-Standard Vice President of Business Development, Asia. “Our extensive knowledge of the global packaging market in addition to competitive lead times, quality equipment, technical service and price offering, should enable us to better accommodate customers throughout the region.” Davis-Standard also anticipates its new stretch film line technology with the DS S3 winder to be beneficial to Indian converters. Quality control, versatility and efficiency are hallmarks of this technology. The line offers a compact machine arrangement, ease of servicing, excellent profile control, consistent roll quality and an intuitive control package. It is engineered for producing thin films from 31-to 51-gauge (7.8µ to 13µ) at high speeds. Davis-Standard’s side-by-side DS S3 overlapping winder is essential to this capability. The S3 winder enables maximum slit widths for hand-wrap, machine-wrap and jumbo rolls, supporting multiple market segments on one winder. Films discharge out the front of the line to a common side to simplify roll packing and future automation. Cores are also same-side loaded from the back to prevent disruption of packing activities. There is an auxiliary lay-on roll to eliminate top-wind waste during transfer, optimizing roll quality and eliminating outer wrap transfer waste. All features are advantageous for high-grade film operations. For more information about Davis-Standard prior to PLASTINDIA, visit www.davis-standard.com. Davis-Standard has engineered a stretch film line that redefines modular efficiency for high-grade film operations. Installed in early 2017 for a large-scale North American film producer, this technology is the new standard for stretch film line configurations due to multiple operator and production advantages. These include a compact machine arrangement, ease of operation and servicing, excellent profile control, consistent roll quality and an intuitive control package. The system is engineered for producing thin films from 31-to 51-gauge (7.8µ to 13µ) at high speeds. Davis-Standard’s side-by-side DS S3 overlapping winder is essential to this capability. The S3 winder enables maximum slit widths for hand-wrap, machine-wrap and jumbo rolls, supporting multiple market segments on one winder. Films discharge out the front of the line to a common side to simplify roll packing and future automation. Cores are also same-side loaded from the back to prevent disruption of packing activities. There is an auxiliary lay-on roll to eliminate top-wind waste during transfer, optimizing roll quality and eliminating outer wrap transfer waste. High-volume core bins minimize refilling frequency and feature a simultaneous core set discharge of multiple core lengths while also decreasing cycle time, improving slit-width flexibility and net film utilization. Core widths can be changed on the fly to maximize uptime. There is a 30-second cycle time regardless of the number of slit widths, which is ideal for hand-wrap products. A pull-through trim system eradicates trim jams into the granulator regardless of line speed or film thickness. Motor-driven web support rollers with an air-venting finish improve film transport at high line speeds, providing quality winding and wound roll formation. The air-venting idler roll finish locks film on the rolls at low tension for excellent tracking and roll edge straightness. In addition to system components, an over-the-line mezzanine accommodates a smaller footprint, while also enabling safe servicing of the extruders, screen changers, melt pipes and associated control systems. With the unique “through-the-mezzanine feedblock riser,” there is safe and convenient access to the selector plug for layer-sequencing changes. Selector plugs can be changed with minimal downtime allowing product flexibility in layer-sequencing to easily accommodate production schedules. The customer has been pleased with overall performance and reports very few medium gels and no large gels in films, which is paramount to thin film production. The combined IR web measurement system, profile control, melt delivery and gravimetric rate control has resulted in a deviation of less than one percent, regardless of film thickness, resulting in superior roll quality. For more information about Davis-Standard’s stretch film capabilities, visit www.davis-standard.com/cast-film. Davis-Standard is pleased to announce that Rich Kanarski has been appointed to the SPE (Society of Plastics EngineersSociety of Plastics Engineers) Board of Directors, Extrusion Division. Kanarski is a process engineer at Davis-Standard and has been an active member of SPE for six years. As part of SPE board leadership, he will support efforts in member services including recruitment and outreach activities, serve on the technical paper review committee, the finance committee and young professionals committee. “I am honored to join the SPE Extrusion Division Board and look forward to working with this exceptional leadership team,” said Kanarski. “SPE has been the leading technical society for the global plastics industry for decades. I am highly motivated to be serving the society and its members, contributing to the future direction and continued growth of this global organization.” SPE is the largest, most well-known plastics professional society in the world with nearly 16,000 plastics professionals worldwide. 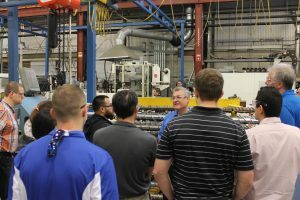 The organization offers technical information, training, networking, and knowledge-sharing for plastics professionals who seek to advance their knowledge and careers. For more information about SPE, visit www.4spe.org.